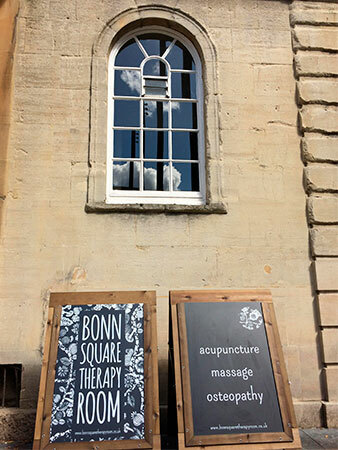 Bonn Square Therapy room is located within New Road Baptist Church. Look for our A-board signs to the right of the main church door and go to the right of the signs. You’ll see a smaller door in a porch-way. On the left hand side of the porch-way you’ll find the intercom for Bonn Square Therapy Room. We’ll come down to meet you as soon as we hear the buzzer.